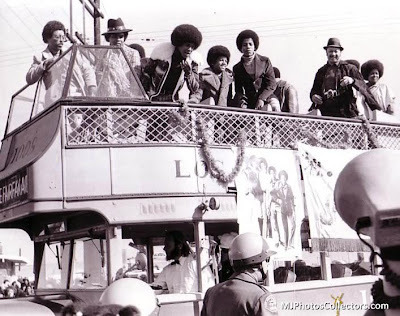 1972 - Michael and the Jackson 5 make an appearance in the Watts Christmas Parade in Los Angeles, California, and they serve as honorary chairmen. The parade is televised the following day on KTLA. 1979 - The Jacksons perform Destiny tour in Vancouver, Canada. 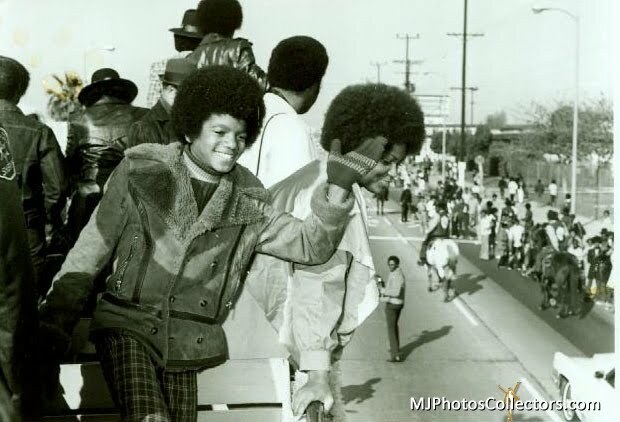 1984 - The Victory tour end in Los Angeles, California at Dodger Stadium on December 9 in front of 55,000 fans, and be Michael’s last tour with the brothers. On July 6, 1984, The Jacksons' "Victory" tour's opening concert was performed at Arrowhead Stadium in Kansas City, Missouri. Reunited with Jermaine, The Jacksons did 55 shows over the course of 5 months, criss-crossing America and Canada with the most ambitious design and execution ever created for the concert stage. It took 4 months to construct it. On December 9, 1984 the group performed the last concert of the "Victory" tour. During "Shake Your Body [Down To The Ground]", Michael announced his split from The Jacksons. The Victory tour wrapped up with six sold-out shows at Dodger Stadium in Los Angeles. A grueling task, Michael was traveling separately from his brothers and had minimal contact with any of them offstage. Still, they were apparently caught off guard when Michael announced at the final show, on December 9, 1984, that it was his last performance with the Jacksons. This time, he really meant it. The tour grossed a record of US$ 75 million and was the biggest tour any group had ever done, in huge outdoor stadiums. 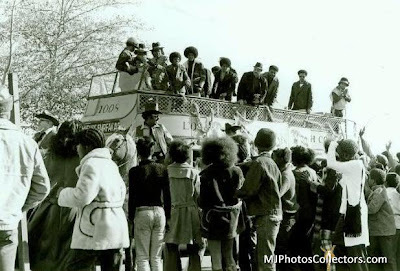 Over 2 million people came to see The Jacksons. And thanks to Michael Jackson, for the first time Pepsi-Cola overtook their arch-rivals, Coca-Cola. Michael donated all his performance money from this tour to charity. "For me, that was what the 'Victory' tour was all about - giving back", he says later. 1988 - Michael perform first of 9 dates at Tokyo Dome in Tokyo during the Japanese leg of Bad tour. After a few weeks of rest and recuperation, the tour headed back to Japan, where it all started over one year earlier. 9 concerts were scheduled between December 9 and 26 in the Tokyo dome. All 405,000 seats sold out months in advance. Michael returned to Japan to end his tour because, "I appreciate the support that my Japanese friends and fans have shown me." The 405,000 fans who attended Michael's 2nd set of concerts in Japan, combined with the 450,000 who saw his first set of shows there, makes Michael Jackson's 1987-1988 World Tour the largest tour ever in Japan. The total attendance of 855,000 fans is said to be 4 times greater than that of any other Japanese tour. 1992 - Michael Jackson receives 1992 Billboard Awards for #1 worldwide single and #1 worldwide album, the first time an artist has ever achieved both in the same year. Michael accepts two awards through a video presentation filmed earlier with Phil Collins at Neverland. Michael Jackson delivers a brief discourse on being honored with the Billboard Artist Award for "Number One World Single" ("Black Or White") and Album ("Dangerous") on occasion of the Billboard Awards: In a taped presentation from his Neverland Ranch, Jackson declares: "I am honored to be recognized by "Billboard", which is considered to be the bible of the industry. Nothing would have prevented me from sharing this special occasion other than "Heal The World" and my commitment to tour on its behalf. My heartfelt thanks to "Billboard", to the children, and to my fans in general. Your support over the years has been an inspiration. Thank you so much." Jackson also wins a special award commemorating 10 years since "Thriller" was released: "Wow... Thank you", he says. "I'm further touched by your saluting my efforts and, more importantly, that 'Thriller' is remembered after a decade. I love you all." Jackson then announces "a special performance of 'Black Or White'" in his absence - taped and edited - from the Wembley Stadium in London, England. 1996 - Michael Jackson's Earth Song debuted at #1 in UK, it remains Jackson's best-selling single and was the UK's 1995 Christmas number-one single. Earth Song was Michael's second instant #1 in the UK, following Black Or White in 1991. It logged six weeks at the top, easily the best showing for a MJ single, and became his first single to shift a million copies in the UK alone, earning a BPI Platinum sales award. Despite the massive success of You Are Not Alone, Michael's previous single, Earth Song wasn't issued as a single in the States – nor, curiously, was any other song until June 1996, when They Don’t Care About Us was released. 2002 - The "Annual Billboard Awards" awarded Michael with a special Billboard award for his 1982 album "Thriller" [Epic], which spent more weeks at No. 1  than any other. Actor/comedian Chris Tucker was on hand at Michael Jackson's Neverland Ranch to present the King of Pop with his award. "I'm very honored, very happy," Jackson said. "I thank my fans around the world. I couldn't be me without you." After much speculation, Michael Jackson did indeed appear at the 2002 Billboard Music Awards via a satellite feed from his Neverland Valley Ranch. Michael received a special award to commemorate the 20th Anniversary of his best-selling recording, 'Thriller,' which spent more weeks at No. 1 (37 weeks) than any other album in the history of The Billboard 200. Comedian Chris Tucker, who appeared via satellite with Michael, was on hand to present Michael with this prestigious award. Cedric: All right everybody, it's that time. We're about to take a trip to the Neverland Ranch with my friend, Chris Tucker-y'all. Chris Tucker: Sorry. 'Thriller' stayed on the Billboard 200 for nearly two years, spending a record 37 weeks at number one. It won dozens of awards including a record 8 Grammies. He gave me one of them. It set another Billboard record when seven of his nine tracks reached the top ten and Michael became the first artist at Billboard chart history to simultaneously and single handily album charts both on black and pop charts. I messed that up, I know y'all seen it but that's all right. Chris Tucker: Quite simply, 'Thriller' still remains the biggest selling album in the history of the world, period. That's why I'm thrilled to present this award to the King Of Pop, Michael Jackson. Michael Jackson: Thank you so much. I'm very honored. I'm very happy. I thank all of the people that appreciate my work. I thank the Billboard Awards. I've always admired you. And to the fans around the world, I love you. I couldn't be me without you. Thank to God. Chris Tucker your my favorite. Chris Tucker: Could I keep the award for a couple days? Michael Jackson: Yeah, we gotta share it. Chris Tucker: At my house? Michael Jackson: No, we have to share it. Chris Tucker: Where can I stay at Neverland? Michael Jackson: Anywhere you wanna stay. Chris Tucker: All right, I'm in cabin three. Michael Jackson: [laughing] Okay. Thank you so much! Cedric: Hey, what's up y'all? They told me they still have Michael Jackson on the wire. Where Mike at? What's up, Michael? Cedric: Hey what's up, Michael? Michael Jackson: Hey, how are you? Cedric: That's the King right there, bro. How you doin' man? Mike, I just wanna ask a question that's been on everybody's mind I'm sure, I know it's on mine. Mike, where's Bubbles at Mike? How the monkey doin'? Ain't nobody heard from the monkey in a while Mike. How the monkey doin' Mike? Michael Jackson: [laughing] He's at Chris Tucker's house. Cedric: Chris Tucker got the monkey. Man, right on man. Chris Tucker: What's up brother? Michael Jackson: I'm a big fan of yours by the way. Cedric: Right on Mike, big fan here too Mike. I know all the songs. Chris Tucker: [talking like Michael] Me too Cedric, I love you! Cedric: You know this maaaaaaan. Michael Jackson: [laughing quietly] You know this man. Cedric: Right on, Chris Tucker and Michael Jackson, the new 'Rush Hour'. Chris Tucker: Let's do it! Forget Jackie!! This entry was posted on 09 December 2010 at Thursday, December 09, 2010 and is filed under 1972, 1979, 1984, 1988, 1992, 1996, 2002 . You can follow any responses to this entry through the comments feed .